The Ballestero Blog Celebrates It’s First Birthday! Today is the last day of this year. As 2010 comes to a close, we all of memories of special events in our lives and in the world that happened within the last 365 days. Most of us have seen both days of laughter and even a few days of tears. Nevertheless, we’re still here and hoping for the best in 2011. The ending of this year also brings closure to the first year of The Ballestero Blog. I wish to especially thank my Son-In-Law, Pastor Brandon Hartzell of Cary, NC for his encouragement to blog. Without his expertise and guidance, I’m not sure I could have undertaken and this endeavor. I thank him for his patience. He just has to be the best Son-In-Law in the world! Most of all, I want to thank every reader. I thank each one of you that clicked on a post and took time from their day to read my ramblings. I am very honored. Thank you. Of all the blogs on the Internet, you paused to read mine. I am humbled by the reader response, the hits on the site and all the kind comments. May God bless us all and give us a Happy New Year. A miscarriage of Justice must have occurred! How could this be? No one ever heard of anything like this happening before. There wasn’t a precedent in the law books. No prior ruling had ever been made like this one. Legal heads were spinning. The news was spreading fast. The victims of the defendant were bewildered. His family was shocked and looked at each other in disbelief. Then when reality sunk in, they wept tears of joy on each other’s shoulders. Everyone knew the defendant was guilty. He’d even said he was. His head had hung down the whole trial. He appeared to be too ashamed to even look at anyone in the courtroom, let alone the prosecutor. The Prosecutor was tough. His appearance was impressive. The crossed arms signaled, in body language, that his mind was made up. He was a no-nonsense kind of man. No one remembered him ever smiling. He’d never accepted a plea bargain in his life. And to make matters worse for the defendants, he’d never lost a case. The Defense Attorney sat beside the defendant at the table. She was a lady with an easy smile and kind eyes. Her words were not harsh, but hopeful. The trial was well publicized. The room was crowded. The press cried for his conviction. Public opinion was against the accused. Something unexplainable happened after the Prosecutor announced to the Judge that the, “State rests.” Immediately the Defense Attorney called for a conference in the Judge’s chambers. No one knows what went on behind those closed doors. At least no one is telling everything if they do. A big News Conference was called. The Judge smiled a rare smile as he announced into the large bank of microphones that the defendant was being set free. No criminal charges, no probation, and no criminal record. The cameras flashed. Reporters wrote rapidly on their notepads. Then to the astonishment of everyone, The Defense Attorney turned and quickly kissed the Prosecutor. Cameras snapped furiously, preserving the moment for all to see. Arthur James McDonald was in trouble. He was heartbroken too. His parents had recently died in a car accident. He had no family to his knowledge in America. A draft notice had just come in the mail. He was to report in two weeks. The U.S. Army was to be his new home. All he had left in the world was his girlfriend, and he was being taken away from her. Arthur’s girlfriend, Norma Sue was in tears. She knew that he would soon be going to Viet Nam like all the other guys that had been drafted. The two of them spent as much time together as possible before he left. Her parents hated him. They dreamed of someone better for their daughter. In a large metro area 374 miles away, Joe and Gloria Phillips sat in front of a gentle natured old lady. They wanted to adopt a baby and were willing to jump through all the hoops to qualify. Whatever it took. Hopefully the cost wouldn’t overwhelm them. They were told that there was nothing available at the time, but she would put their names on a waiting list. 29 months and 16 days in Viet Nam seemed like an eternity for Arthur. The letters from Norma Sue had been constant for several months. Then nothing. Not even a ‘Dear John’ letter. When Norma Sue’s parents found out that she was expecting, they sent her to a home for unwed mothers. They were so ashamed. Hopefully their friends and family would never know. Her parents had restricted her. There was to be no contact between her and Arthur. They threw all his letters into the trash. He was to never know about the baby. The Doctor shook his head at the nurse. 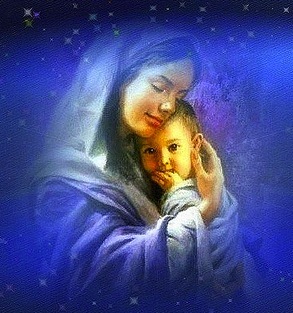 The baby was born healthy, but the mother lay lifeless on her bed. Her parents must be notified. The social workers took over. On July 23, 1962, Gloria received the news while Joe was at work. The Agency had called and said they had a newborn baby boy for them. She was ecstatic! The lady said that the baby’s mother had died in childbirth. The maternal grandparents did not wish to keep the baby. The father’s name on the birth certificate was Arthur James McDonald. Nothing else was known of him or his family. Two Sundays later, baby Donald Paul Phillips was dedicated to the Lord at the First Pentecostal Church. At the age of five, little Donny Phillips received the Holy Ghost in Children’s Church. Donnie loved the Bible stories he learned in family devotion and in Sunday School. Joe and Gloria told Donny when he was 9, that he was adopted. They told him that his mother had died giving birth to him and that the only thing they knew about his dad was his name was Arthur James McDonald. Young Donny hugged his parents and told them he loved them and that he was glad they had wanted him to be their boy. “You’re my Mommy and Daddy,” he said. When he was seventeen, Don felt like he wanted to be a preacher. He did not say anything to anyone about feeling a call to preach. Pastor Walker watched the spiritual progress of this young man. The Phillips had excelled as parents and Don was great young man. He prayed in the prayer room, he worshiped during the service and he was very obedient as well. The pastor could tell that the hand of the Lord was upon this young man. Unlike some of the others in the youth group, Don was not rebellious. He did not test the boundaries of the church’s standards nor did he hang out with the worldly kids in the church. At eighteen, Don gave his first sermon in a youth service. In private, he later cried tears of disappointment in his amateur attempt at preaching. It was harder than he’d imagined. In June 1987 Donald Paul Phillips watched Rebecca Thomas walk down the aisle to take his name in holy matrimony. Three years later Donald and Rebecca started a storefront Home Missions church 50 miles away. Their pastor had helped them in their choice and had placed his blessings on them. The small group grew slowly, but it grew nevertheless. Another building and fifteen years later, found them in a regular ‘church’ building. The new location seemed to spark another growth spurt. The new converts started bringing their friends and family. Men and women were getting the Holy Ghost every week. The baptismal tank was used just as often too. Bro. Jimmy Delano a new convert, brought his new neighbor to church last Sunday Morning. He had been teaching him a Home Bible Study and was thrilled when the neighbor asked to come to church with Jimmy. Pastor Phillips preached a wonderful message on the Holy Ghost. Four new people were in the altar, and all of them received the Holy Ghost. They also wanted to be baptized. The first baptismal candidate was an older gentleman. Jimmy Delano’s new neighbor. As Pastor Phillips prepared to baptize him, he asked him his name. “Macky,” the old man said. “Macky what?” was the pastor’s response. Pastor Phillips looked at the man he was about to baptize, for a moment, and then with tears streaming down his face he called his two young children up close to the baptismal tank. One verse in the life of Isaac portrays the essence of God’s idea about how your priorities should be organized. Gen. 26:25 And he builded an altar there, and called upon the name of the LORD and pitched his tent there: and there Isaac’s servants digged a well. First: Isaac built an Altar. – A type of the House of God. Thirdly: A Well was dug. – The Well is what gives you sustenance in the wilderness. First in our life should be our church. Isaac did not go looking for a well, then pitch a tent and then make an Altar. Some folks are so greedy for money, they move to a town where there is no church. But they found a job that pays good money. They really needed the money. But they needed the Altar even more. Their priorities got out of order. They won’t mean to backslide. But they have put themselves and their families into a spiritual danger zone. The Well is not to come before your Tent… or your family. The Tent or the Well should never come before the Altar. Keep Church First in your life. Your Job is the least important of the three. Yes. We all need a job, but God did not call us to be a Salesman, a Banker, a plumber or whatever. He called us to be a Saint. Good Saints make the House of God #1 in their life. Have you ever needed to escape? Ever gotten weary of dealing with life’s wear and tear? I know just the place for you to go. No, it won’t even cost you any money. You can go by yourself or with the ones you love. I’ve been there and it’s all they ever told me it could be and more besides. How did I find out about this place? I read about it in a book. Psalms 84 described it to me. I daydreamed about the place and then I went to check it out for myself. Psa. 84:1 How amiable are thy tabernacles, O LORD of hosts! Psa. 84:2 My soul longeth, yea, even fainteth for the courts of the LORD: my heart and my flesh crieth out for the living God. A nest for the most restless of birds, the swallows. There Are Five Things That Are Found In The House Of God. 1. Praise – Worship is always resident in His House. Psa. 84:4 Blessed are they that dwell in thy house: they will be still praising thee. Selah. Psa. 84:7 They go from strength to strength, every one of them in Zion appeareth before God. 3. 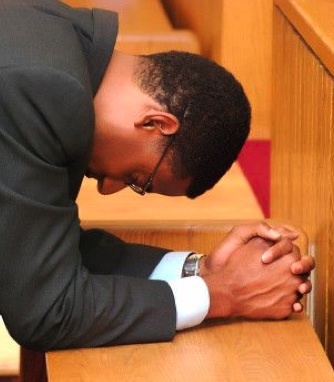 Prayer – Here is where our prayers get heard. Psa. 84:8 O LORD God of hosts, hear my prayer: give ear, O God of Jacob. Selah. 4. Protection – We are vulnerable in life. We need Him to be our shield. Psa. 84:9 Behold, O God our shield, and look upon the face of thine anointed. 5. Privilege – It’s an honor to just to get to come into His House. Psa. 84:10 For a day in thy courts is better than a thousand. I had rather be a doorkeeper in the house of my God, than to dwell in the tents of wickedness. 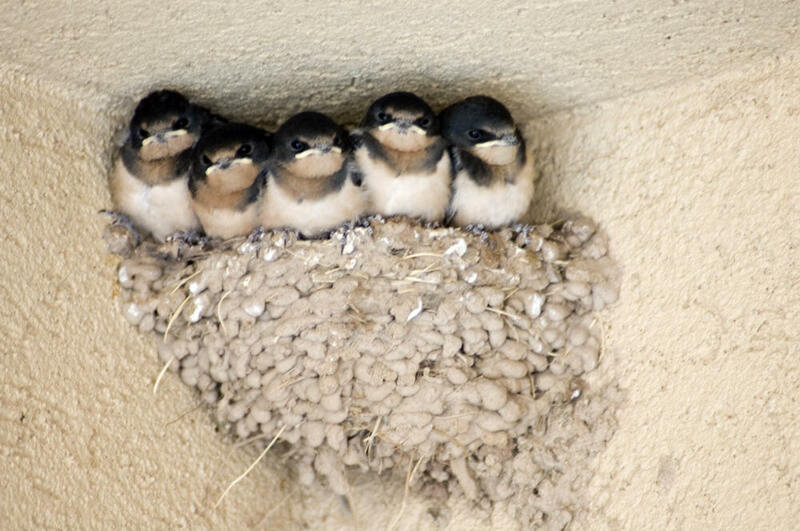 Why Do The Swallows Build Their Nests In The House Of The Lord? 1. The nest is a refuge from the storm, a place to hide. It’s a place of safety. 2. It’s for reproduction. The nest is where new life begins. 3. It’s for rest. The nest is a hideaway where the weary can recover their strength. 4. It’s where the baby swallows are raised. The nest is a place of growth and maturity. Swallows are transient birds. They are only here till they make their flight. We too are only here till we make our flight. Jewish custom forbade anyone to kill or drive away a bird from the Temple. It’s nest was to be left undisturbed. Oh, did I tell you where the swallows in Psalm 84 built their nests? They built them on the altar. We as ‘spiritual’ swallows will never enjoy the benefits of God’s House until we build ourselves a nest on the altar. 1. Jacob was forever blessed when he wrestled with an angel at his altar of prayer. 2. A nature change overcomes those that build an altar. Ananias was comforted by God over the news that Saul of Tarsus was on his was over to meet him. It takes a while to build a nest. There is where our peace comes from. There is where prayers get answered. They that build their nest at the altar, enjoy safety from the storm. Never fear. No one can run you away from there or disturb your nest. Have you built yourself a nest yet? Every bird has a nest somewhere. Where’s yours?